This is an anti-war novel/ memoir that explores time travel, alien abduction and other science fiction elements. I had wanted to read this book for a while because I was intrigued by the mixture of genres but never picked it up. The only reason I've read it has to be because it was compulsory for my university course. It would be fair to say that I mixed feelings about this book. Firstly, the writing style took a long time to get used to. Vonnegut jumps around a lot as he tells his story, with various flashbacks integrated into the structure along with the current events surrounding his abduction by aliens. In the beginning I struggled to follow what was happening in the past and present but as I read on I did eventually get used to deciphering what happened when! Although science fiction isn't one of my favourite genres, I did enjoy some of the features included. Most notably, the scenes involving the aliens and their planet I found really interesting as they didn't act like stereotypes alien characters that are green blobs and like humans. Instead they had their own beliefs and view on the world which I thought was really creative. Whilst I did enjoy this book and I'm glad to have read it, I don't think I would read it again. I didn't pick it up in the first place and only read it because I had to for university. If I'm being honest, I don't know if I would have ever gotten around to reading it without the nudge. It's just been one of those classics novels that I have always wanted to read but every time I thought about reading it I was just filled with thoughts of books I wanted to read more. Altogether I found this book very thought-provoking and creative with the science fiction elements that weren't cliche. personally, I didn't like Vonnegut's experimentation with the narrative structure and flashbacks but I did get used to it eventually. 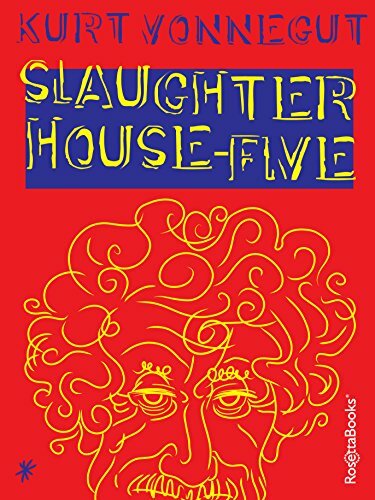 I would recommend this to someone who likes science-fiction more than myself so that they can fully appreciate Vonnegut's work.